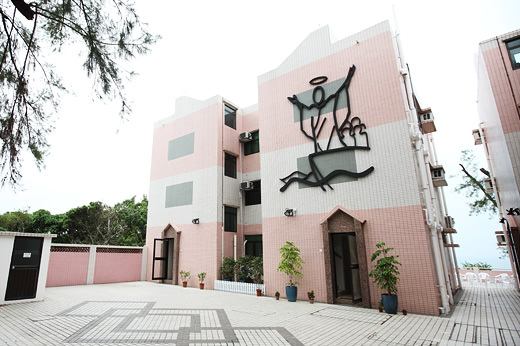 The Hong Kong Sheng Kung Hui (Anglican) House of Prayer, a centre run by and for Anglicans, was officially opened on 1st February 2012. You are cordially invited to "Come and see" (John 1:39) and encounter with God in silence. 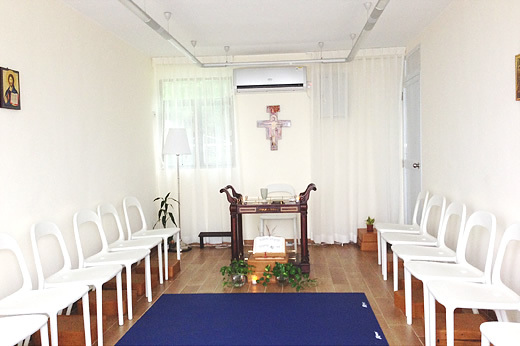 The House aims to provide a natural, tranquil and comfortable environment for Hong Kong Sheng Kung Hui clergy, laity, staff, and groups to have retreat; and to offer the course of Clinical Pastoral Education (CPE) to staff and seminarians of different denominations of Christian Faith. 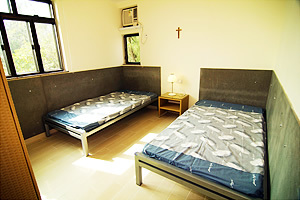 There are 21 rooms (7 double rooms, 12 single rooms, and 2 single suite for group spiritual director ), 8 prayer rooms ( for 3-10 persons), 3 interview rooms, 1 reading room, a Chapel and a dining room for 26 persons. Air-conditioning is available indoor. Applicant should first make a phone call to the House office at 2981-3375 for initial booking. After then the completed application/ donation forms, together with the donation cheque, have to be returned by mail within a week to Hong Kong Sheng Kung Hui, Provincial Office, Account Department, 16/F., Tung Wai Commercial Building, No. 109-111 Gloucester Road, Wan Chai, Hong Kong awaiting for confirmation of booking. Please make your cheque payable to “Hong Kong Sheng Kung Hui” or “香港聖公會”. Quilt, pillow and bedding sheet will be provided by the House. Please bring along your personal effects and insect repellents. In order to provide a clean and quiet environment for retreat, please follow the rules and regulations, always keep silence in common area and during meals, and always appear in decent clothing. ☆ The main gate of the House closes at 7p.m. Lights are out at 11p.m. ☆ Please have meals on time and clean your own dishes after meals. Please do not eat or drink outside the dinning room. Please take good care of your personal belongings, such as money, identity document(s) and valuables. The House will not be liable for any loss of property caused by fire hazard or campers’ own fault.. If Typhoon Signal No. 3 is hoisted or Yellow/Red Rainstorm Warning Signal is issued during your stay in the House, the booking will be held as scheduled. But if Typhoon Signal No. 8 or above is hoisted or Black Rainstorm Warning Signal is issued in advance on or before noon on the booking day, the booking will be cancelled. For those users already stay at the House, they may be requested to leave the House immediately subject to the actual weather condition and availability of ferry transportation. The House will not be liable for user’ safety. If the booking is cancelled due to inclement weather condition, it can be rescheduled. You can travel to Cheung Chau by Ferry at Central Pier No 5 and reach the House in approximately 20 to 25 minutes on foot from Cheung Chau Pier. You have to walk pass Tung Wan Road, St. John Hospital, Warwick Hotel and the helipad. 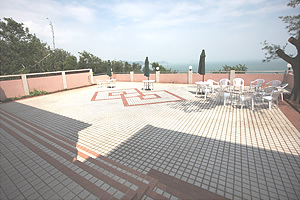 Then, climb up the slope at the dressing room of Kwun Yam Beach until you reach the crossroad of Kwun Yam Temple. After that, follow Ming Fai Road and go up the mountain, pass the Caritas campsites and walk along. The Salvation Army Bradbury Camp to Fa Peng and the path of Chi Ma Hang and you will arrive at the House.